Season 7 of the Malayalam Musical Reality Show Star Singer Reaches its Grand Finale. 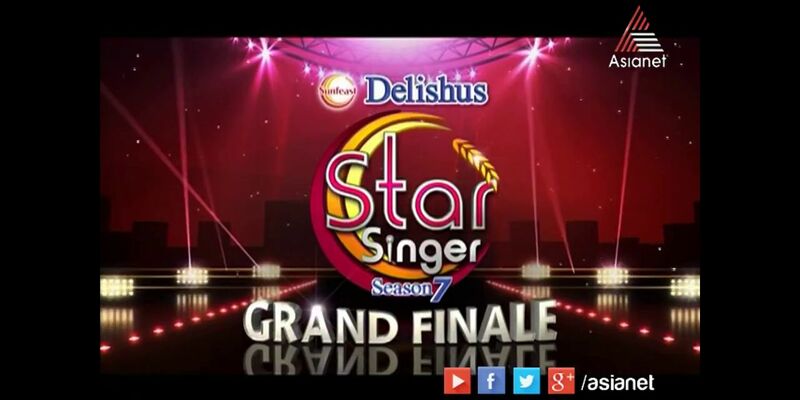 Asianet channel will air the grand final of Star Singer Season 7 Soon. Asianet has launched the reality show Star Singer Season 7 On 31st March 2014 With 17 Contestants. Godli , Janaki , Ayyappan, Keerthana Shabareesh, Sharath, Vaisakhi, Aslam, Malavika, Kapil, Cris Mariya Sen, Manu Shankar, Reshma Raghavendra, Nandhu Bhaskar, Varsha Krishnan, Manuvardhan, Deepthi , Gayathri are the 17 Contestants Of Star Singer Season 7. The Show Star Singer Season 7 Faced Eliminations and Now Few Candidates Only remaining. who is the winner of Star Singer Season 7 ?. Stay Tuned Here For More Details.